The second installment of our series of graphics from our book, Climate Gamble: Is Anti-Nuclear Activism Endangering our Future, covers in more detail the share of different energy sources in the world’s energy mix. In our previous weekly pic, we noted that measly 13 percent of world’s energy currently comes from fossil-free sources, a figure that has barely budged since the nuclear build-up ended in the late 1980s. 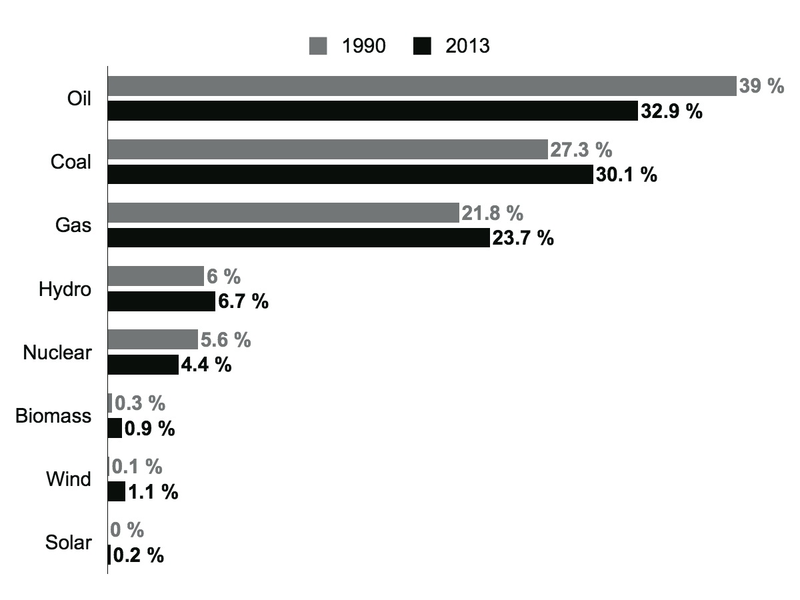 This graph shows that while oil use has (relatively speaking) fallen somewhat, coal use has actually increased compared to 1990. This despite all the promises and negotiations that have aimed at reducing CO2 emissions, of which coal burning is the largest single culprit. We can also see that while renewables have shown commendable progress, their shares are still very small of the total. Unless the growth of renewables continues at current, unprecedented levels, shunning nuclear power will be a gamble with the world’s climate. 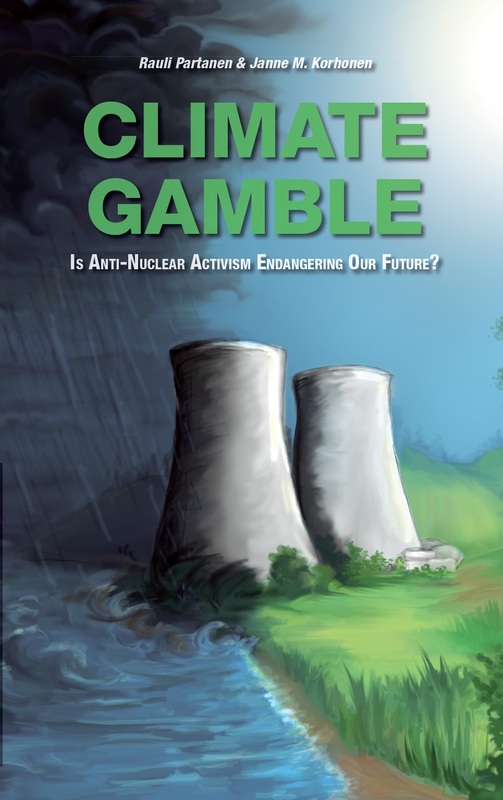 This series of posts introduces graphics from our book Climate Gamble: Is Anti-Nuclear Activism Endangering Our Future? The book is now available on Amazon.com in Kindle and paperback formats; see also our crowdfunding initiative which aims to deliver a copy of the book to COP21 climate delegates in Paris this December.